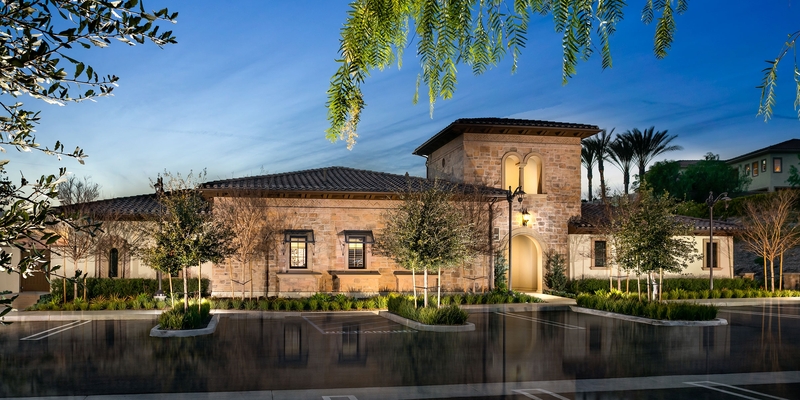 This beautiful communal building design is a private recreation clubhouse with a park for the residents of Enclave at Yorba Linda. 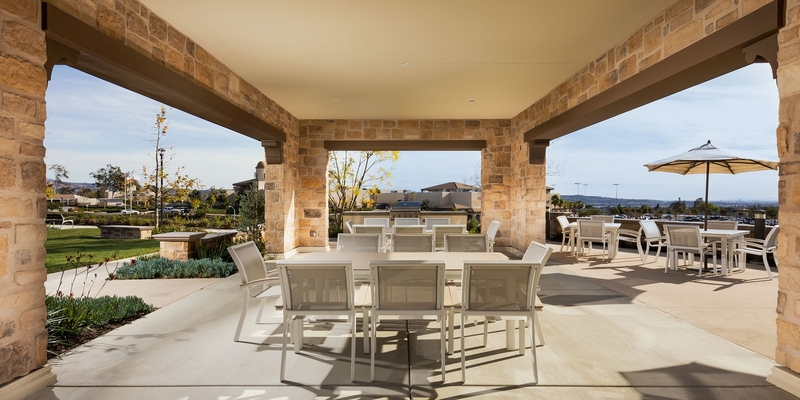 Inspired by Tuscan architecture, it features a large community room, covered outdoor entertaining and barbecue area. 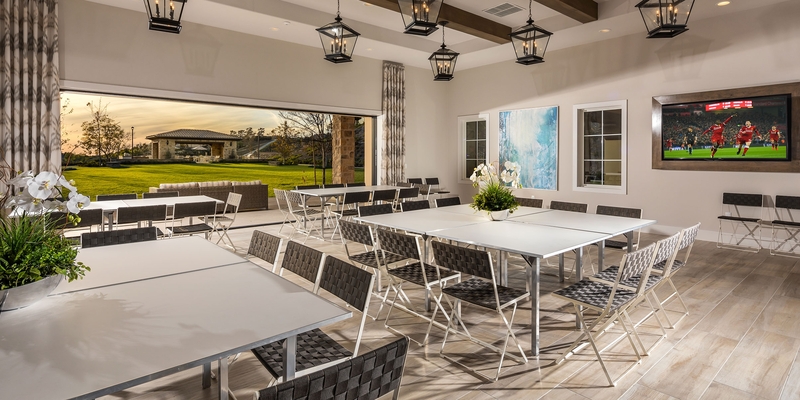 Located next to the main entrance to the community the Clubhouse and adjoining park is a lovely setting for any get-to-together; large, or small. 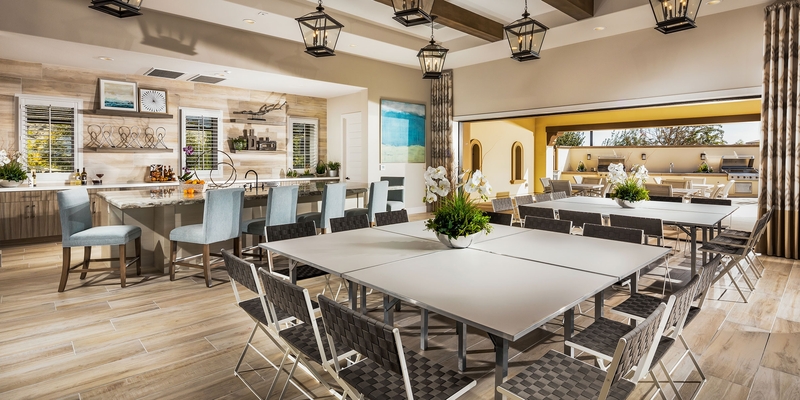 This beautiful communal building design is a private recreation clubhouse with a park for the residents of Enclave at Yorba Linda. 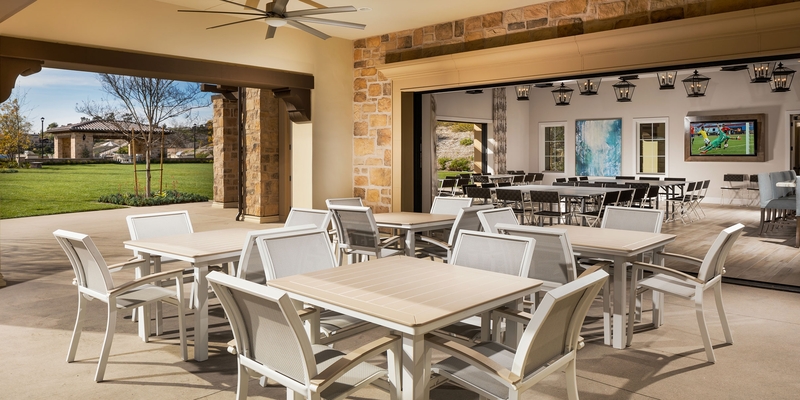 Inspired by Tuscan architecture, it features a large community room, covered outdoor entertaining and barbecue area. Located next to the main entrance to the community the Clubhouse and adjoining park is a lovely setting for any get-to-together; large, or small.nal. Outdoor Area: 1,360 Sq. 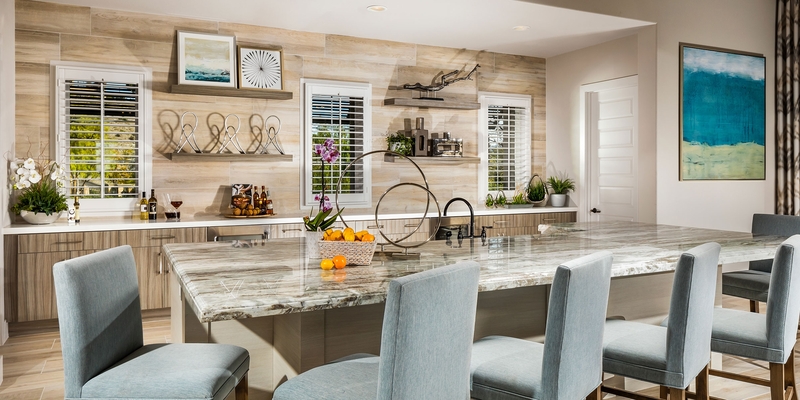 Ft.
Barbecue Area: 600 Sq. Ft.